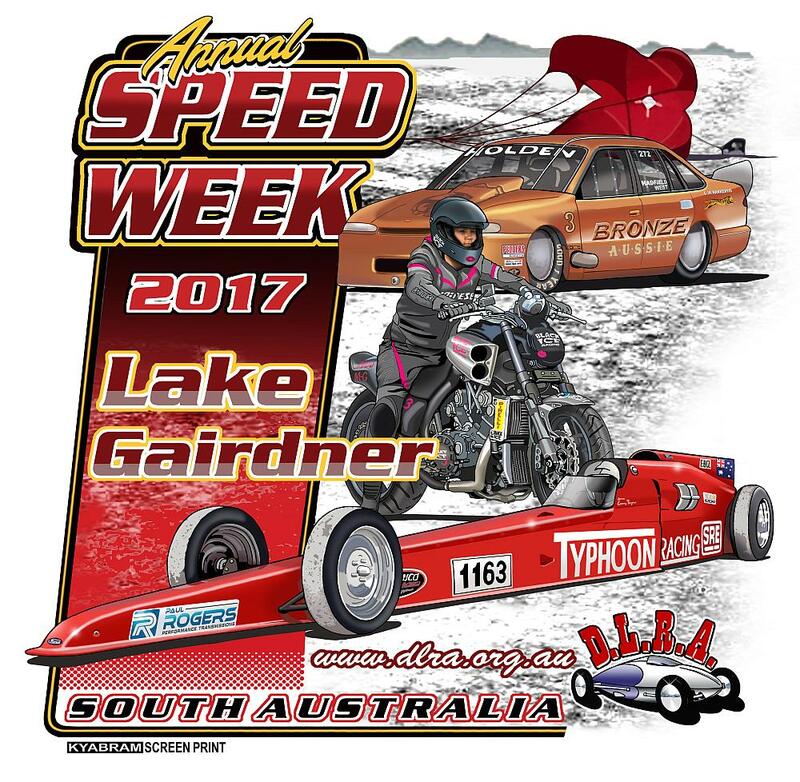 At Lake Gairdner, every year is different. The surface of the salt was probably the best for many years requiring just a skim to be ready. Which was just as well as the tractor that we hire from Mt. Ive station had a flat tyre on its way to the Lake and we did not see it until the Friday, not leaving a lot of time to get the work done that it normally does. We ended up not grooming the pits at all it was that good. Then Saturday another flat tyre saw us out of action for another day. Thanks to the "Hi-Vis" team for securing a couple of tyres and fitting them for us, they really saved the day. For anyone with a Chamberlain tractor any 16" 4WD off-road tyre will fit! Friday was set up day and car inspection was opened in the afternoon, disappointingly Bob did not have many customers. Saturday more entrants drifted in and set up their camps and pits with Bob try to drum up work and Graeme now open for business too. Sunday was more of the same. The timing guys have out done themselves this year, not only did they have all the timing gear set up and tested ahead of time but they were also able to set up the new data network between the start line, timing van and registration. For the first time, ever we had a camera at the start line that was viewable by the timers and on a big screen at the announcers desk. There was also a new application to be able to print off timing slips on-demand at race control. And entrants could view real time weather station information from race control. Absolutely amazing work, with a lot of the thanks going to Peter Hulbert. Big thank you to all the volunteers and officials involved with set up on a job very well done. Monday morning, we were racing at 8.30am which was a great effort for a first day The forecast was for fine weather all week, so to get the severe short storms that we did on Wednesday and Thursday afternoons was a big surprise. The whole meet was pretty incident free. There was the occasional blow up but very few delays. Thursday morning Alan Blackwood collected the 3-mile timing box, fortunately we had spares without track 2 running. There was a spin on Thursday afternoon by the Firebird of Dave Rosewarne and Mark Love at around the 4.5 mile which also took out another set of timing gear. Simon Davidson from Street Machine magazine was lucky enough to catch it on video, when it come out it will definitely be worth a look at just how luck Mark was. We hadn't lost any timing gear for years and now we lose 2 sets in a day, time to check the insurance policy. Friday finished with Ben Felten attempting the World Record for a blindfolded Motorcycle rider. Ben had already achieved his 125mph licence earlier in the week and Kevin had a new record under his belt so spirits were high. unfortunately, after a couple of attempts it was decided to call it a day, at least Ben now had his 150mph licence. Not too bad for a man that cannot see. So then the emphasis was turned to packing everything up and getting off the salt for the last time. The guys who helped with pack-up deserve extra praise. It’s a hot job and you have already been out in the sun for a week. Extra special praise for the guy picking up the mats with his young son. This is what makes the club and the Speed Week. To all those that seemed to “forget” their volunteering duties over the week or did not volunteer at all, don’t think for one moment you got away with anything, we know who you are. Track 2 - there was grooming of track 2 on the Friday and it looked fine, the return road was poor but it was last year and we just got away with it. But by Sunday it was too wet to run after about the 2 mile and it was decided not to use it. By Tuesday morning it had improved slightly, enough to be able to run licencing passes over 2 miles, and this is what happened for the next 3 days. We tried to make the best of a bad situation. There were quiet a few international competitors and visitors this year. We had Jack Rogers, Keith Turk, David Frieberger, Steve Strupp and Lawrence May who brought out 3 Camaro's from the States. Tim Lewis also from the States was here riding a AAA bike in an exchange arrangement from Bonneville last year. Sam Moses also from the US teamed up with Jeff Lemon. Then there was Dave Rosewarne and Mark Love with their Firebird over from New Zealand again. And we had a visit from a couple of guys from the Buckeye Bullett team doing a little recognizance, they were pretty impressed with what they saw and would definately like to be here next year but rated their chances at the moment at 30%. Which is pretty fair considering all the organisational, financial and logistical considerations. Startline was shifted to the 2 mile due to wet track. 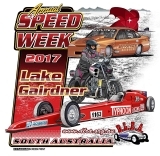 There were 65 records set at Speed Week 2017 of these there was 20 existing records broken and 45 new records set. We want to recognise all those that have reached a significant milestone in Land Speed Racing. To be eligible for the 200MPH Club the competitor must have exceeded 200MPH whilst setting a new record for their class. Each new 200MPH club member receives a specially embroidered "red hat" to signify their achievement. Provisional Results of DLRA Speed Week, February 27th - March 3rd 2017 - Paul Lynch, DLRA Chief Timer. It will take me some days to compile the results into the table below, so to get people off my back and give me a little breathing space here is each days results for Track 1 as PDF files with Track 2 GPS results already compiled further down the page. Record Speeds shown are the highest speed attained for that class from all previous years or has never had a vehicle register a speed for that class and are considered Open. Note: New record speeds shownin RED. Note: DLRA Records are not set using GPS to determine speeds.